Thank you Centennial Bank, Chick-Fil-A and PTO for the awesome staff breakfast this week during testing! You are amazing!! Reminder: School will be dismissed this Friday. Have a great three day weekend!!!! Thank you to our fantastic PTO for the great breakfast that was provided this morning!!!! Third grade students will be taking the ACT Aspire test next week on April 15th -18th. Help your child to do their best by encouraging them to get a good night's rest and by having them arrive at school on time. Have a great weekend!! Tonight is the night!!! Spring Carnival at McRae is from 5 -8 pm. Come and enjoy a great night at our school!!! Thank you to First Community Bank!! Our second grade enjoyed your presentation and will continue to enjoy the book that was donated by the bank to our school!!! Our PTO carnival is this Friday from 5 - 8. Enjoy a great night with your family while supporting our school!!! Reminder: McRae Elementary's PTO Color Run is tomorrow morning! It begins at 9 a.m. Thank you to our fantastic PTO for the delicious pies in the teacher's lounge!!!! We couldn't "bee" more grateful!! Super Hero girls for today!! Love those shirts that say "Be Kind", "Inspire" and "Justice"!!! They are ready to save the world!! McRae Elementary Color Run is this Saturday, April 6, beginning at 9:00 am. Hope to see you there!! Reminder: PTO meeting in the library tomorrow, April 3rd. Officers for next school year will be elected. Hope to see you there! The McRae PTO Color Run has been postponed until next Saturday, April 6. Hope to see all of you there next weekend!! Report cards will be sent home with students today. Remember: This Saturday, March 30th, is McRae PTO's annual Color Run. It begins at 9 am. Hope to see you there!! Hope you and your family have a safe and great Spring break! See you again on Monday, March 25!! For Wacky Weather STEM Day for 3rd grade on Friday, March 29, we are collecting empty toilet paper tubes, empty paper towel tubes, empty water bottles, cardboard of all kinds. Please send with your student or drop off at the school. Your help is always appreciated!!!! McRae Newsletter coming home today with your child! Important information and news included!!! Dr. Seuss Family Night is tonight! Meal served in cafeteria from 5-6:30 pm. Gym open for activities from 5:30 - 7:15 pm. Hope to see you there!! Congratulations to 2nd Grade for the best attendance in February!! You rock!!! Today is PTO's Bailey Pizza Fundraiser Day!! All day today mention McRae Elementary School when ordering at Bailey's Pizza and our school will receive 10% of the sales including carry out!!! Mrs. Henderson's class had a special guest reader in the library! Dr. Beth Patterson shared a book which she donated to our library! Thank you, Dr. Beth!!! What do you do in Science lab the week before Dr. Seuss Family Literacy Night? Why, experiment with Oobleck, of course!!!! Kindergarten having fun and learning! PTO Fundraiser at Bailey's Pizza, March 5! Just mention McRae Elementary! Dr. Seuss Family Literacy Night is only one week away!! We hope to see you and your family on the evening of March 7th!!! Reminder: School pictures are tomorrow! Our Flipgrid Read Aloud Competition will be wrapping up tomorrow and 2 winners will be selected!! It is easy to go online and record your video and it only takes 90 seconds. Use the following link: https://flipgrid.com/07975ff9 And, keep reading aloud at home everyday!! School will be not be in session on Monday, February 18th. Enjoy the three day weekend with your family! Thank you to our wonderful PTO for the popcorn treats in the lounge today! It was delicious! Please take time to complete the parent survey that is on our news section of our school website. The survey should take less than 10 min to complete. The link is listed here as well: https://bit.ly/2UeZ6QJ Thank you for your time and participation! Happy Valentine's Day to all of our parents and students!!! Ask your child to share with you some good news about their day at school! McRae Elementary students and staff are working on being safe, respectful and responsible at school. Ask your child what they are doing to help make our school a great place to be!!! Due to flooding, there will be no school tomorrow. This will be an AMI day. AMI packets were sent home earlier in the year with students. Teachers will be available tomorrow for questions through Google Classroom or school email. School will still be out for President's Day. Reminder: School will dismiss early tomorrow and Thursday at 2:30 pm for Parent/Teacher Conferences. Book Fair starts today in the cafeteria. It will be open through Friday. Remember, to check out the Book Fair during Parent/Teacher Conferences tomorrow! Ms. Laire's class had a busy day Friday! They had special guest readers, dressed as book characters, were Book Buddies with kindergarten and ended the day with a character parade assembly!!! McRae was visited by some wonderful characters today! These are from Mrs. Ball's kindergarten class!! World Read Aloud Day has gotten off to a great start at McRae!!! Book Fair is next week from Monday thru Friday! It will be open next Tuesday after school during Parent Teacher Conferences. The book fair is located on the stage area of our cafeteria. School will dismiss at 2:30 on Tuesday, February 5th, and on Thursday, February 7th, for Parent Teacher Conferences. Help our PTO and students by having pizza from Marco's Pizza today! Just mention Searcy McRae Elementary while placing your order and ten percent of the sale will go to our school! The donation will be given for all orders except online orders. Thanks so much!! World Read Aloud Day is this Friday!!!! We are looking forward to a day of students and guests sharing favorite read aloud books!!! Our day will end with an assembly that includes a parade of students and teachers dressed as book characters!!! Our PTO is selling Candy Grams that will be given to students on February 14th. The Candy Grams will be on sale through February 8th and are 50 cents each. All proceeds will go toward the Spring Carnival. Our students learned about nutrition this morning with a special assembly about food!!! Ask your child to tell you which foods are "go" foods! Thank you, Mrs. Davis for helping our students learn to eat healthy foods!!! Reminder! World Read Aloud Day is February 1st! Be choosing a book to to read aloud as a family! We will be celebrating that day at school with a book character parade and other exciting activities!!! McRae Rocked the 100th Day of School with a teacher lip sync program!!! Students had a great time joining in the fun!!!! See our facebook page for more pictures. Mrs. Ball's and Mrs. Russell's classes were rocking their 100th Day shirts!!! Thank you to our wonderful PTO!!!! The chili bar that you provided for our staff today was GREAT!!! Our PTO rocks!!!!!! First Grade teachers at McRae are ready to rock the 100th Day of School!!! Tomorrow is the 100th day of school celebration!! K students are wearing t-shirts with 100 items and 1st thru 3rd students will be "Rockin It" as Rock Stars!!! We have "Rocked 100 Days of School!" Get ready!!!!!! Reminder: PTO meeting today at noon in the library! McRae Elementary will be collecting toothbrushes, toothpaste and soap for Jacob's Place this month. If you would like to donate any of these items, please send to school with your child. Thank you for helping our community!!! The first PTO meeting for 2019 will be next Wednesday, January 16th at noon in the library. We hope to see you there!!! Istation will be tomorrow and Thursday for our Kindergarten students. Please be sure your child arrives to school on time. As always, thank you for your support! The first day back at school started off great at McRae!!! 2019 is off to a wonderful start!!! Welcome back students!!! We wish you and your family a wonderful time with family and friends! We will welcome students back on January 7th!! This morning our students and parents were greeted with music and characters from Candy Cane Lane along with firemen to keep those characters in line!!! Thank you PTO for the fantastic Hot Chocolate Bar!!! Our PTO is the best!!!! Reminder: PTO meeting tomorrow, December 12th, in at noon in the library. We hope to see you there!!! Square 1 Art orders will not be sent home with students without parent permission. If you need your child to bring home your order, please contact the your child's teacher, the office, Mrs Rogers or Misty Mullins. Thank you! Reminder: Square 1 Art orders are ready for pick up today in the cafeteria from 3:30-5:30. If you are unable to pick up your order, please contact Mrs. Rogers or Mrs. Mullins (PTO President) to make other arrangements. Thank you for supporting our school! 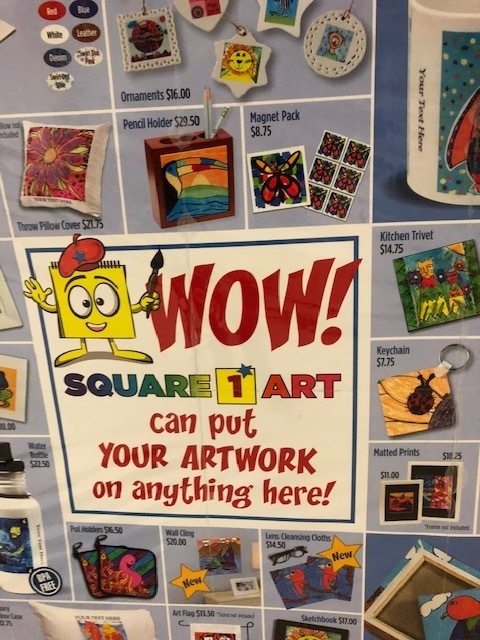 The PTO officers and Mrs. Rogers will be in the cafeteria from 3:30-5:30 on Friday for parents to pick up their Square 1 Art orders. Family Engineering Night was a great success with almost 500 people in attendance!!! Mrs. Free took time to share a story with students at one of the stations! The PTO officers and Mrs. Rogers will be handing out Square 1 Art orders on Friday, Dec. 7, from 3:30 - 5:30. If parents are unable to come, arrangements will be made for a later date. Orders will not be sent home with students unless school is given permission by parent. Remember, Family Engineering Night is tonight from 5:30-7:30! Come enjoy a night of family fun and learning!!!! Supper will be in the cafeteria until 6:30. Activities will be in the gym from 5:30 -7:30. The Artmobile will be open and is located on the east side of the gym. The Arkansas Arts Center Artmobile will be at McRae Elem. on Dec. 3-7. Students will be touring the Artmobile during art classes next week. Also, the Artmobile will be open during Family Engineering Night on Monday night Dec 3rd for students and families to enjoy. Our Kids Heart Challenge raised $4523 this year. Mrs. Woodruff’s class raised the most money, $ 1723!! Awesome job! We wish all of you a great Thanksgiving with your family and friends!!! Enjoy the next three days off from school and we will see you back at school on Monday!!! The second grade music program, American Voices, was a huge success! Great job Mrs. Bucher and students!!!! Thank you to our wonderful PTO for providing a Thanksgiving lunch for our staff today!!! Also, thank you to Mr. Gurchiek for carving the turkey and being a wonderful leader for our school!!! Thank you Searcy Fire Department for greeting our car riding students this morning!!! It was a great way to start the day at McRae! Remember: Second Grade Music Program is tonight at 6 pm in the cafeteria. Also, progress reports were sent home with students today. Remember: You can place online and phone orders for Square 1 Art through tomorrow, November 16th ! Second graders are almost ready to present their music program!!! Come and enjoy their program this Thursday, November 15th at 6 pm in our school cafeteria!! You will not want to miss it!!! Good news! The Square 1 Art fundraiser deadline has been extended to Nov 16 for online and phone orders! Reminder: PTO meets Wednesday, November 14th at noon in the library. Hope to see you there!!! Reminder: Square 1 Art orders are due this Monday, November 12th. Ms. Nikita from the Little Rock Presidential Center shares a Little Golden Book presentation with Mrs. Ball's class. The November newsletter is coming home today with your child. Information about the Family Engineering Night is on the back. Please check out the important events coming up at McRae! Reminder: Picture retakes are tomorrow morning. Kid's Heart Challenge (Jump Rope for Heart) assembly was held this morning! Packets are going home with students today! Don't forget the last day for Square 1 Art orders is Monday, November 12th. McRae will be helping the Junior Auxiliary Food Basket Program this year. We will be collecting nonperishable food items Tuesday-Friday. Please send any nonperishable items with your child this week. The library was visited by some special pumpkin book characters today!!! Thank you Mrs. Davidson's class for sharing!! Reminder, be sure to check out the Square 1 Art catalog and stickers that came home with your child! Deadline for orders is on November 12th. Fall parties for students will begin tomorrow at two. Third grade GT students were challenged to design and build a load bearing structure including a suspended bucket that will hold weight. Students followed the Engineering Design Process for this challenge. They were placed in teams and given specific supplies to complete the task. Square 1 Art catalogs come home with students tomorrow! Along with the catalog is a page of stickers featuring your child's art work. The deadline for ordering is November 12th. Tomorrow's Red Ribbon motto is : We have the super power to say no to drugs! Come dressed in your favorite super hero clothing! Third graders studying fossils during Science lab today. The first McRae 50th Day Harvest Hoedown was a great success! Thank you to all who made it possible!! More pictures will follow soon! PTO Meeting today in the library at noon! Hope to see you there! It is going to be "A Great Day at McRae" !!!! Don't forget to check our Facebook page and cast your vote for who you think should kiss a pig!!! Mr. Gurchiek or Mrs. Free....who will it be?? Get ready to give drugs "the boot" and enjoy a harvest hoedown as we celebrate our students and the 50th day of school tomorrow!!! Miss Barber's, Mrs. Moody's and Mrs. Lavender's classes were able to see apple cider being made thanks to the Orchard Project who came to visit their classes! Red Ribbon week starts on Monday!!! Remember to wear your silly socks to "Sock it to Drugs"!!! McRae's 50th Day Harvest Hoedown is on Oct. 23rd! We are going to celebrate the 50th day of school by giving "drugs the boot", eating lunch on the grounds and having grade level competitions! The day will end with the kiss the pig finale! Cast your vote on Facebook!!! Reminder: School will dismiss at 2:30 tomorrow. Tomorrow is the last day for our PTO Book Fair which will reopen at 3:00 after school dismisses and will be open during Parent/teacher conferences. Parent/Teacher conferences will be going on until 7:15 p.m.. Reminder: School dismisses at 2:30 today! Remember to visit our PTO Bookfair! It will be going on through this Thursday in our cafeteria ! Also, Thursday it will be open from 3:15 til 7:00 during Parent/Teacher conferences. No school will be held on Friday, October 19th due to all teachers participating in professional development that day. 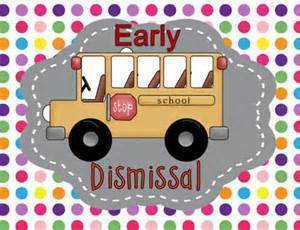 School will dismiss at 2:30 p.m. on Tuesday, Oct. 16th and Thursday, Oct. 18th. Reminder, our flu clinic at McRae will be next Wednesday, Oct. 17th. If you are wanting your child to receive the flu vaccine, please return the completed consent form. Our PTO Book fair begins tomorrow!!!! Third grade students learning and having fun during WIN time with math games. Thank you, Unity Health for helping our Kindergarten students learn about making healthy choices! Harding University Pied Pipers performed a great show for our Kindergarten and First grade students this afternoon. We loved having them visit McRae! The October newsletter can be found under documents on our website! Look for a copy coming home also! Important information and dates are included! Kindergarten students listen to Dr. Hoffman, veterinarian, during their study of Community Helpers. Congratulations McKenzy Morris on being selected as a Super Hero in the cafeteria!!! Two of our Super Heroes of good behavior!!! Congratulations, Presley and Zayshawn!!!! Thank you PTO!!!! Muffins with Mom was a huge success!!! Super Heroes for Friday, Sept. 28, 2018, are McKenzy Morris in Ms. Laire's room, Zayshawn Greer in Mrs. Henderson's class, London Jackson in Ms. Barber's class, and Presley Stovall in Mrs. Woodruff's class. These students' names were drawn from our bags of good behavior certificates in the cafeteria. Thank you for following the rules and being good citizens! Congratulations and glad you are here to protect our school today!! Reminder, school pictures will be taken tomorrow! Get those smiles ready!!! Moms! Come join your child for breakfast this Friday in the cafeteria! Free muffins, juice and coffee will be available for moms beginning at 7:15 a.m. in our cafeteria!! Thank you to our fantastic PTO!!!!! The walking taco bar that you provided for lunch was delicious!!!! McRae's PTO is the best!!! Individual School Picture Day will be Thursday, September 27th. Pictures may be ordered online or the completed order packets may be sent to school with students. Tomorrow is Pirate STEM day for 2nd Grade. Our school is looking forward to a day filled with pirates and learning!!! PTO will be selling smencils and keychains before school thru Oct. 5th. They will have a table set up on the sidewalk between the cafeteria and the main building each morning. Reminder: PTO meeting tomorrow at noon in the library!!! Hope to see you there! All of our students learned about bus safety today and practiced safe bus behavior. A special thank you to Mrs. Twisdale, our transportation director, for spending the day helping our students!!! Super Heroes Help with the Pledge Today!!! We are celebrating International Dot Day at school tomorrow! Students have been doing various activities with dots. Tomorrow, we are hoping to reach a million dots on clothing, shoes, bows, etc.. Reminder: Progress reports will be sent home tomorrow with students in first thru third grade. We are celebrating International Dot Day this Friday!! Remember, we are all wearing dots!!! Tomorrow is BMI screening for Kindergarten and Second Grade. It is also Vision and Hearing Screening for Kindergarten thru Second Grade. Mrs. Rogers, our art teacher, used an app on Kindle Fires with third grade students to make drawings appear 3D. Kindergarten students ended a two week study on colors with a snow cone! Some of our teachers joined in the celebration with our kindergarten students!!!! Next week, all of our K-2 students will be taking the Istation test. Tuesday, September 4th our 1st and 2nd grade students will take the Istation assessment. September 5th and 6th our Kindergarten students will take the Istation assessment. Please be sure your child is at school and on time those days! We appreciate your support! Remember tonight is PTO PIZZA NIGHT at Bailey's Pizza from 5-9! Enjoy a night out and support our school at the same time!!! Remember tomorrow night is PTO Fundraiser Night at Bailey's Pizza from 5 - 9 p.m.. All tips and 10% of sales will go to our PTO! Give the cook at your home the night off and support our PTO at the same time!! Thank you to our wonderful PTO for providing treats for our staff this morning!!! It was delicious!!! Thank you to all who attended our August PTO meeting! PTO is off to a great start with many great ideas to help our students and our school! Our next PTO meeting is on September 19th. Reminder: Our PTO will meet tomorrow in the library at noon. Hope to see you there!!! Color Week for Kindergarten Starts on Monday. Students will be studying colors and are encouraged to wear a special color each day. Monday-red, Tuesday-yellow, Wednesday-blue, Thursday-green, Friday-orange. Have a great weekend!!! Reminder: PTO meeting in the library Wednesday, August 22nd, in the library at noon. Hope to see you there!!!! Reminder: Our PTO will be hosting a back to school ice cream social in our cafeteria tonight from 5 pm til 8 pm. Two of the best administrators ever share birthdays and smiles!!!! Happy August birthday, Mrs. Free and Mr. Gurchiek!!!! McRae's PTO officers for this school year are as follows: Misty Mullins - President, Teena Oliver- Vice President, Dianne Hawkins - Secretary and Alan Webber- Treasurer. Thank you so much for serving our school!!!! On Friday, August 10th, our PTO will be sponsoring an Ice Cream Social for McRae Students and their families in our cafeteria. This will be a great way for our students to meet and greet friends for the upcoming school year. Come join in the fun!!! Registration for new students today! Hope to see you soon!!! Our PTO will have a welcome table set up during our Open House nights. We have a great PTO that supports our students, parents and staff!!! We look forward to seeing our parents and students at Open House in our cafeteria. August 7th - 1st Grade at 5:00, 2nd Grade at 6:00. August 9th - Kindergarten at 5:00, 3rd Grade at 6:00. New student registration is Thursday, August 2nd from 8:30 - 3:00. Please bring your child's shot record, social security card, birth certificate, and proof of residence. Have a great summer break with your family!!! August 13 will be the first day of school for the new school year! Mrs. Chris says goodbye . . .
Ms. Laire's class is all smiles on this last Friday of the school year!!! Have a great weekend....only two school days left for students!! First Grade STEAM day with the Jr. High Robotics Team. Thank you Greenkeepers Garden club for the wonderful book on gardening that you donated to our library!!!! We appreciate your support!!! Mrs. Ball's class enjoyed dressing as a fairy tale/story book character today at school. Mrs. Stokes' students sharing read aloud books with kindergarten students!